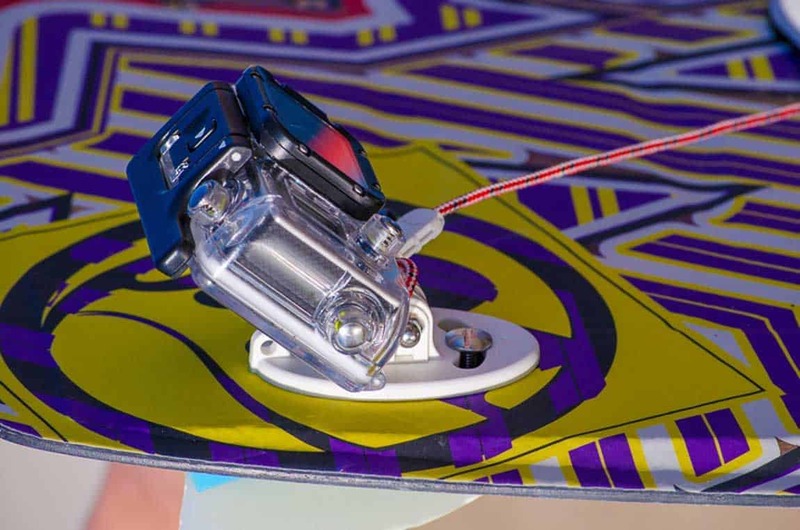 Our low profile mount for twintip kiteboards and wakeboards uses the fin bolts to connect securely to your board. 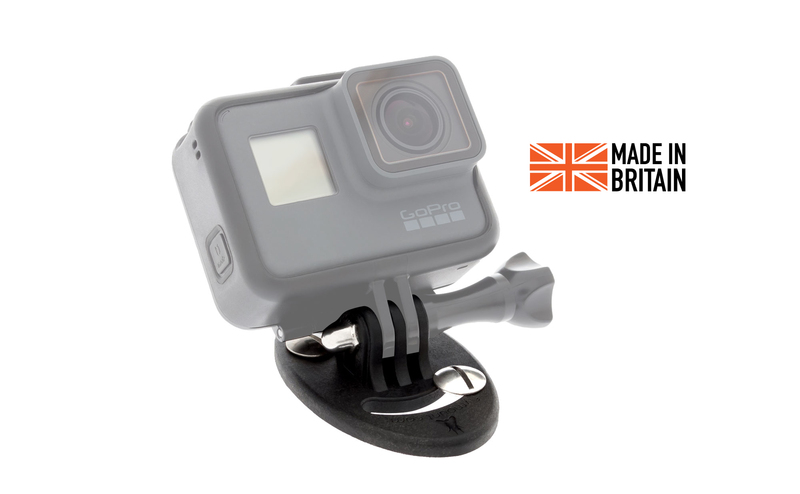 Weighing just 13g, this tough little adjustable board mount fits all GoPro cameras, and cameras using the GoPro mounting system. Made from ultra strong premium grade glass filled Nylon PA66 to withstand heavy use in saltwater and high levels of UV. 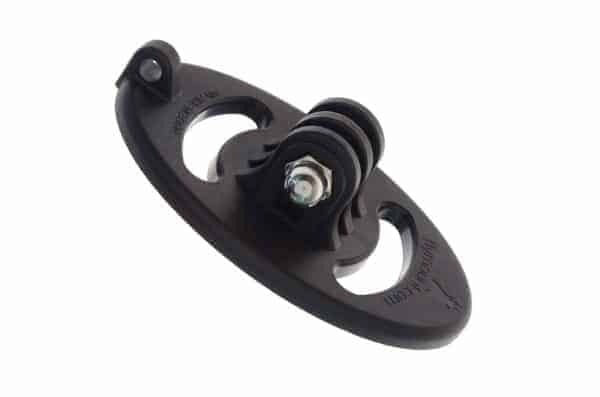 Just 4mm thick, and weighing only 13g, this tough little mount is inconspicuous and can be used instead of a spacer and left in place permanently on your board. 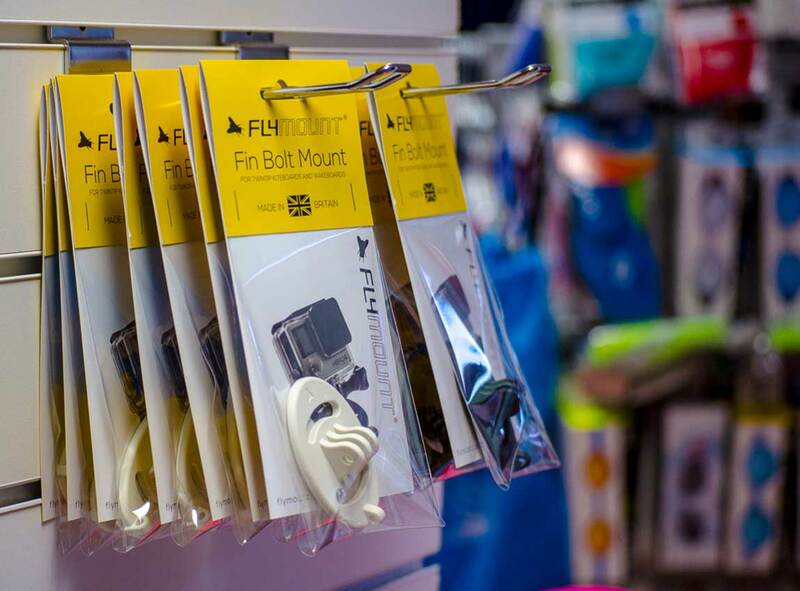 The Flymount Kiteboard mount has Industry standard fin bolt spacing of 1.5 inches (35mm) to fit all twintip kite and wakeboards. GoPro mounting system for compatibility with all major brands of POV camera. MATERIAL: PA-66 (30% glass filled) / Stainless steel dome nut. 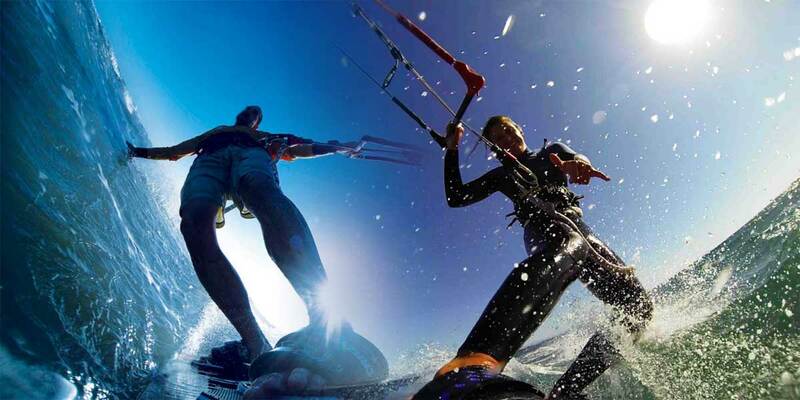 CAMERA COMPATIBILITY: All cameras using the GoPro mounting system. BOARD COMPATIBILITY: Attaches using the fin bolts. Requires the industry standard fin bolt spacing of 1.5 inches. Does the Fin Bolt Mount fit all kiteboards and wakeboards? Our Fin Bolt Mount requires the industry standard fin bolt spacing of 1.5 inches. This is a standard dimension for twintip boards, but if you are unsure, please check the spacing on your board. Does it fit all models of GoPro? Yes! GoPro have used the same mounting system since the beginning. I have a camera that looks similar to a GoPro, but is made by someone else. Will it work with this mount? Almost certainly. 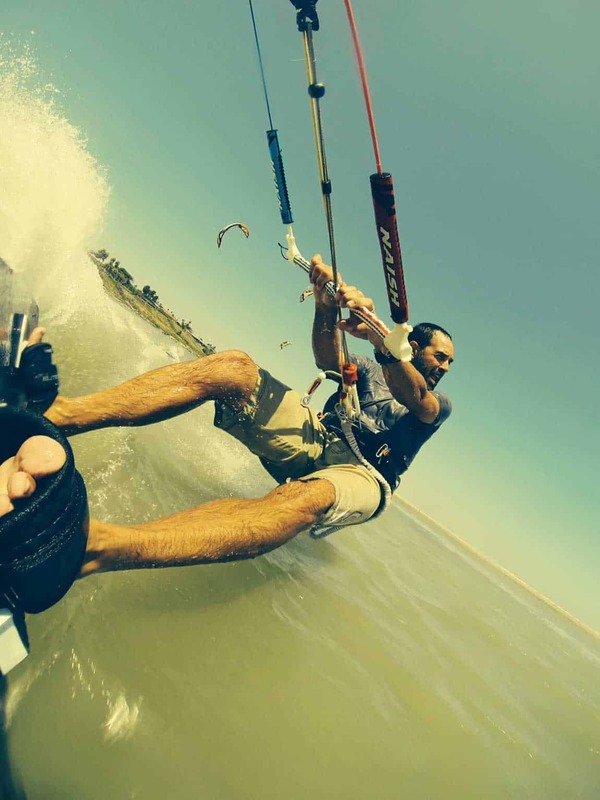 The GoPro mounting system is the most common mounting method in the action camera market, used by many alternative brands of camera. If it looks the same, it should fit.